After a lifetime of support and comfort from their parents, the tables have turned: baby boomers are now the ones agonizing about whether their loved ones are eating properly, taking their meds, are lonely, and more. Such worry is an epidemic with us baby boomers. Sometimes, seniors try to hide their struggles from their children; other times, we choose to overlook their challenges until the last possible moment, the tipping point. There is no perfect time to move homes. But when a fall, injury or illness happens suddenly, decisions can be made in haste, with high emotions, often resulting in later regrets or frustrations. To avoid these pitfalls, when the time comes, we hope you’ll contact us to orchestrate your loved one’s move to senior living. Is it staffed for the type of care my loved one needs? What is the core philosophy behind the care? What kind of insurance does it accept? What are the living quarters like? Does it offer activities my loved one will enjoy? Is the environment one in which my loved one will feel comfortable, safe, respected, happy, and cared for? More than a decade ago, Joy Lovinger, founder of Senior Placement Services, was asking herself these very same questions as she faced this challenge on her own. The experience marked a turning point in her personal and professional life and eventually led her to found Senior Placement Services, whose express mission is to help make this kind of critical transition in your family life a more positive one. Senior Placement Services has visited and evaluated every community that we recommend, and we offer our services at no cost to you or your loved ones. Joy also offers professional consultation services, billed at an hourly rate, for those who are not actively seeking a new home for their loved one, but rather, are seeking more info on the placement process or on how to start their own care home. “Joy Lovinger has helped me with finding a home for my mom. During this stressful time I was able to count on her ability to find the right placement for our family. She is incredibly helpful, knowledgeable, and compassionate. She thinks of everything and is totally professional in her demeanor. She takes the time to show you as many places as needed while making sure you are comfortable and secure with your decision. I have recommended her services to friends and if the need arises I would contact her again.”  Adrienne M.
“Joy is an angel. She listened to Dad’s and my concerns, tenderly and skillfully assessed Mom’s needs and provided us with several wonderful choices, ultimately working her magic to place Mom in a truly exceptional board n care home where she is thriving. Our family is blessed to know Joy and to have her guidance through one of life’s difficult decisions.”  Michelle C.
“I’m writing this to let you know how amazing Joy Lovinger was in helping to place my mother . . . Had it not been for her professional attentiveness to all that paperwork and details, we perhaps would have chosen another facility for Mom. Not only did she help make the move an easy transition, she kept me informed of Mom’s well-being and looked out for her during those first few weeks. She answered my many phone calls and questions since I had never gone through this process before. 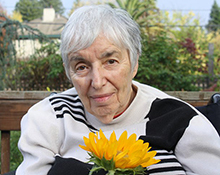 Her caring nature and communication skills were invaluable during what could have been a difficult time for my mother and me.” – Jewel S.
“Moving my brother-in-law from a health center in Oregon to California was a task I could not do alone. It was Joy’s help and encouragement that gave me with the strength to secure a good place near family. Joy’s pleasant attitude and frequent emails kept me focused on what I had to do. My brother-in-law could not remember the name of his attorney, but Joy’s help led to success in finding the attorney.”  Alice J. “It is an absolute pleasure to see Joy in action. From my experiences, it seems Joy’s ability to find proper solutions for those who seek her services are paralleled only by her lovely demeanor and her practically tangible interest in her client’s well-being. Bravo.”  Colin T.
© 2019 Senior Placement Services. All rights reserved.